Spray grill rack with cooking spray. Heat coals or gas grill for direct heat. Brush fish with oil; add TABASCO® Original Red Sauce, salt and pepper. Cover and grill fish over medium heat 5 to 7 minutes, turning once, until fish flakes easily with fork. Heat tortillas as directed on package. Spread sour cream on tortillas. Add fish, Toppers and salsa. You can also use small corn tortillas instead of flour. TIP! 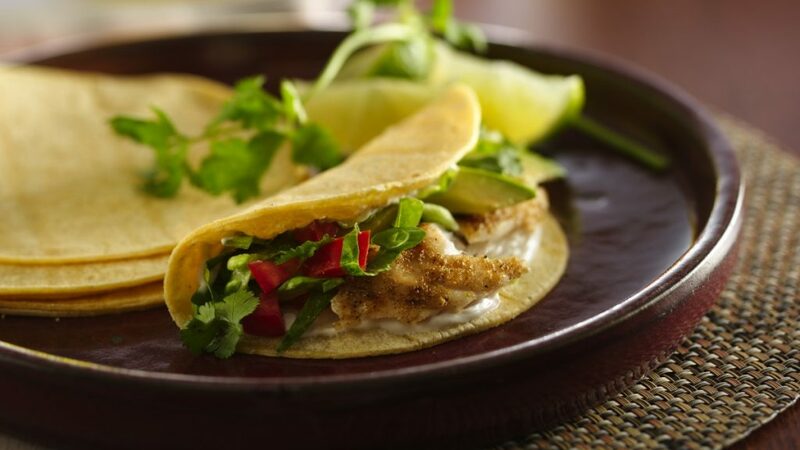 Top these flavourful fish tacos with any of your favourite condiments: shredded lettuce or cabbage, chopped tomatoes, onions, cucumbers, avocados or fresh cilantro. Serve with a squeeze of fresh lime juice.